Perfect for meat, fish or poultry! The digital ProAccurate Thermometer (DTQ450X) provides accurate temperature measurements in just 6 seconds, featuring a large digital readout and easy-to-press buttons. 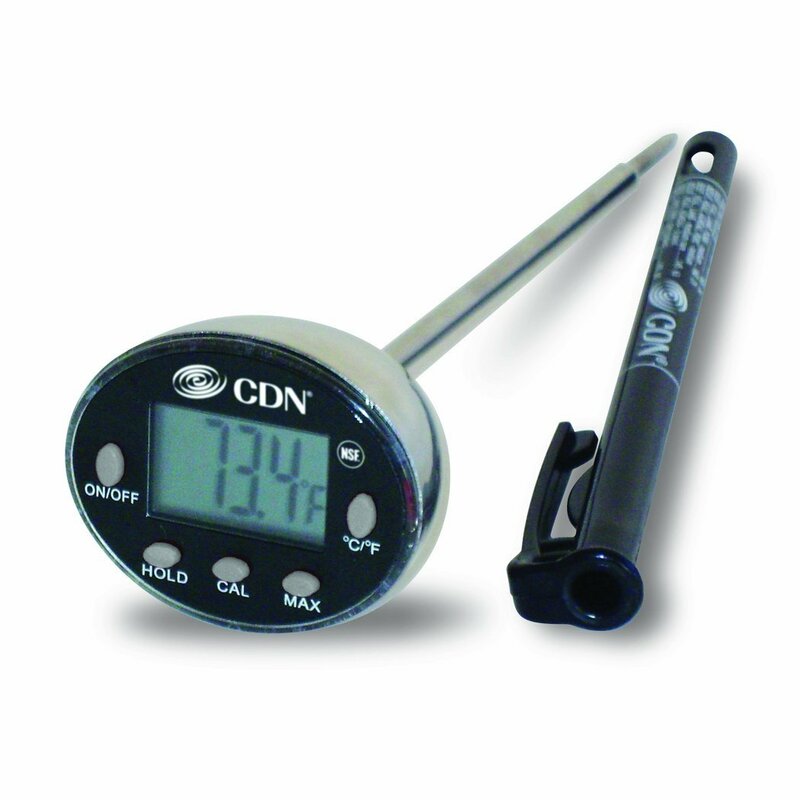 It offers simple one-button re-calibration, easily re-calibrating the thermometer in just two seconds. Professional chefs and home cooks will appreciate the ProAccurate Thermometer’s durable design with stainless steel housing that is waterproof and shatterproof.